The Fascial Manipulation course program consists of intensive hands-on courses, combining theoretical lectures, demonstrations, and practice between participants throughout each course day. Participants will learn to evaluate musculoskeletal dysfunctions with specific reference to the human fascial system, and to apply the Fascial Manipulation method as developed by Luigi Stecco, PT. 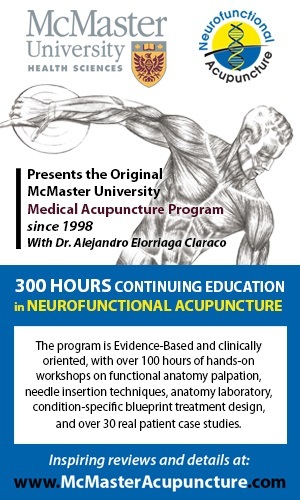 Lectures include the anatomy and physiology of the fascial system, an explanation of the biomechanical model used in application of this technique, and the anatomical localization of key fascial points. Emphasis will be placed on the evaluation of musculoskeletal dysfunctions. The complete course series consists of three levels: Level 1, 2 and 3 Fascial Manipulation. Each level is subdivided into two parts, FM-1a and FM-1b, through FM-3a and FM-3b. Completion of the FM Level 1 provides clinical proficiency for a wide range of common dysfunctions. The Fascial Manipulation course series is intended for physical therapists, chiropractors, osteopaths, and other licensed health care practitioners with a good working knowledge of musculoskeletal anatomy, physiology and postural analysis. Massage therapists with a minimum of three years of experience may be eligible but need to contact the course coordinator prior to registering to review their eligibility. Cheryl has 23 years experience as a physiotherapist. She is the owner and practicing physiotherapist at Westside Physiotherapy and Hand Clinic in Vancouver, BC. $1,425 for all six days. Tax receipts will be provided. Note that for members of an Ontario health profession regulatory College, you may eligible to receive partial or full reimbursement for this course via the Allied Health Professional Development Fund. This fund has been in operation since 2009, however funding for the 2019-2020 cycle has yet to be confirmed. For more information or to register, contact Christopher Winn.